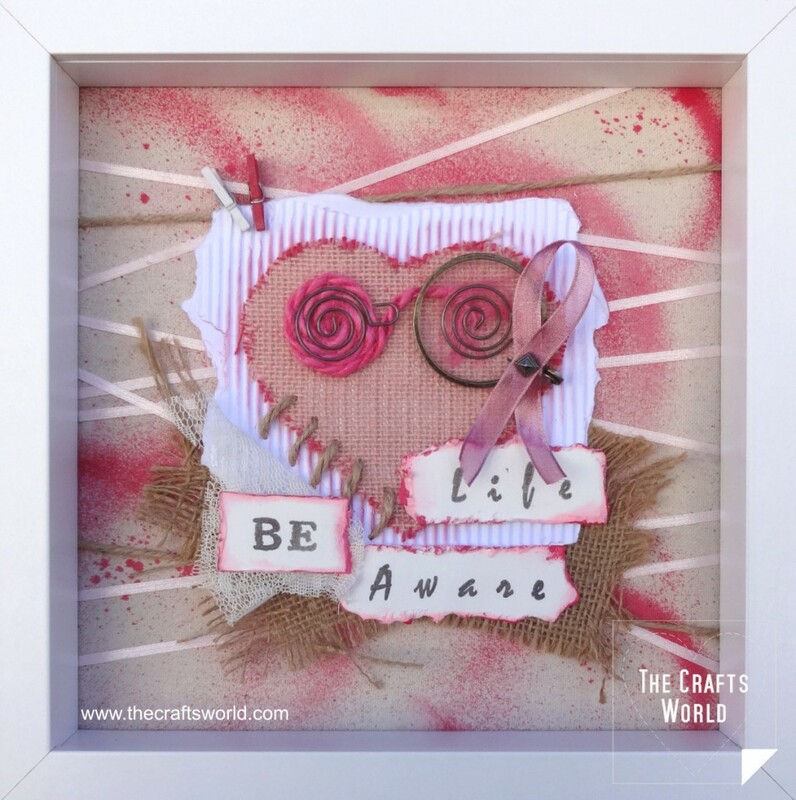 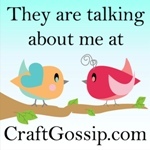 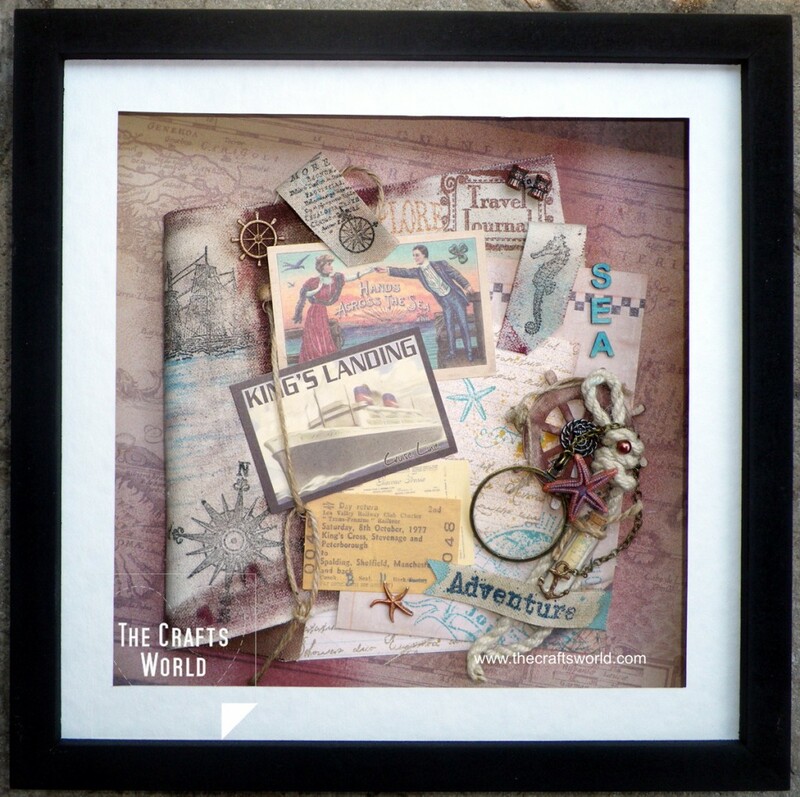 Shadow box with a vintage sewing theme. 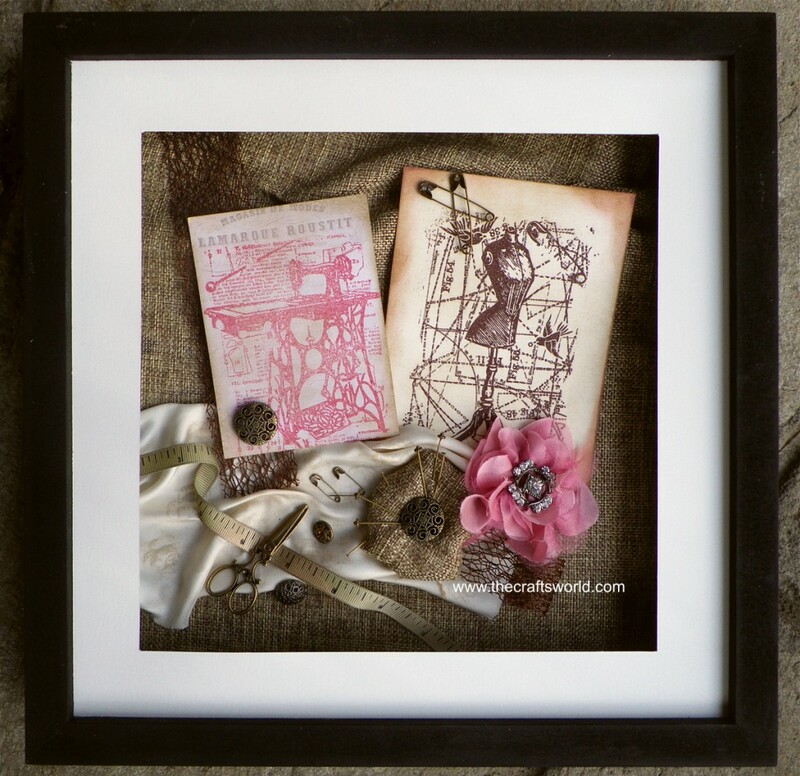 Burlap, satin fabric and metallic embellishments compose a vintage design with the two embossed stamped cards. 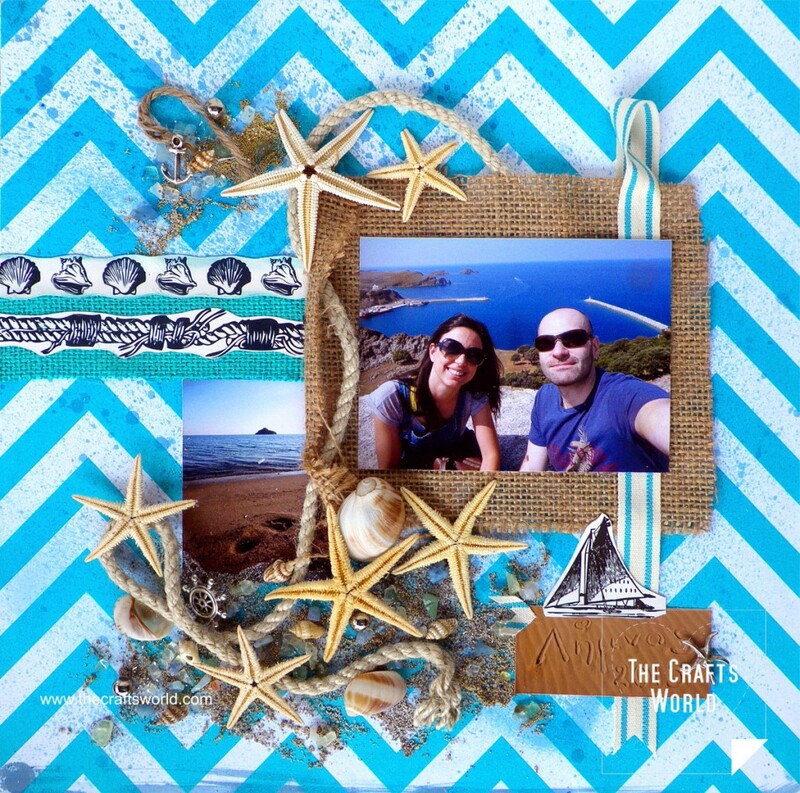 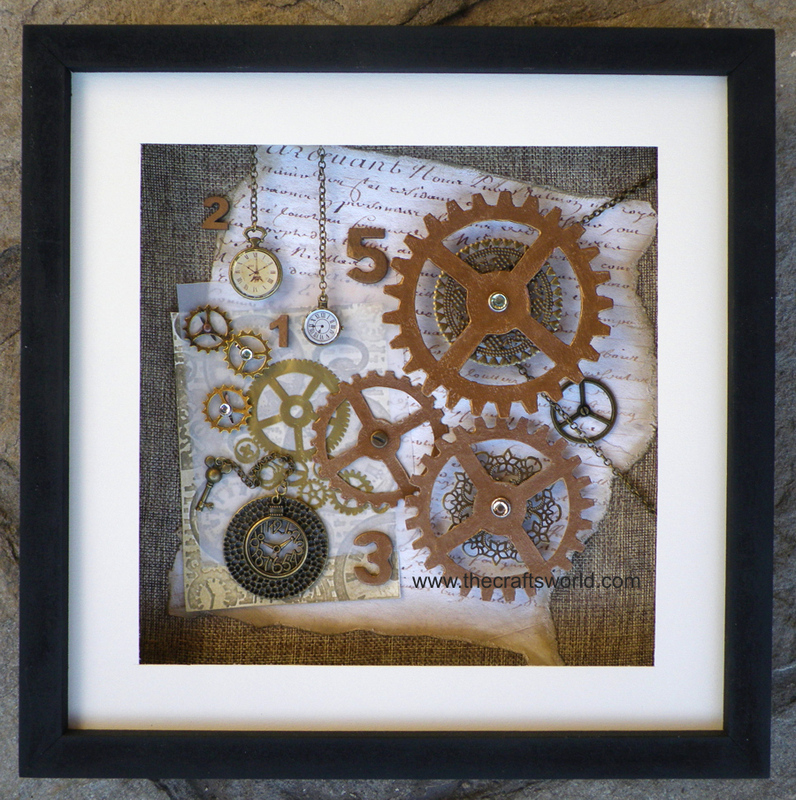 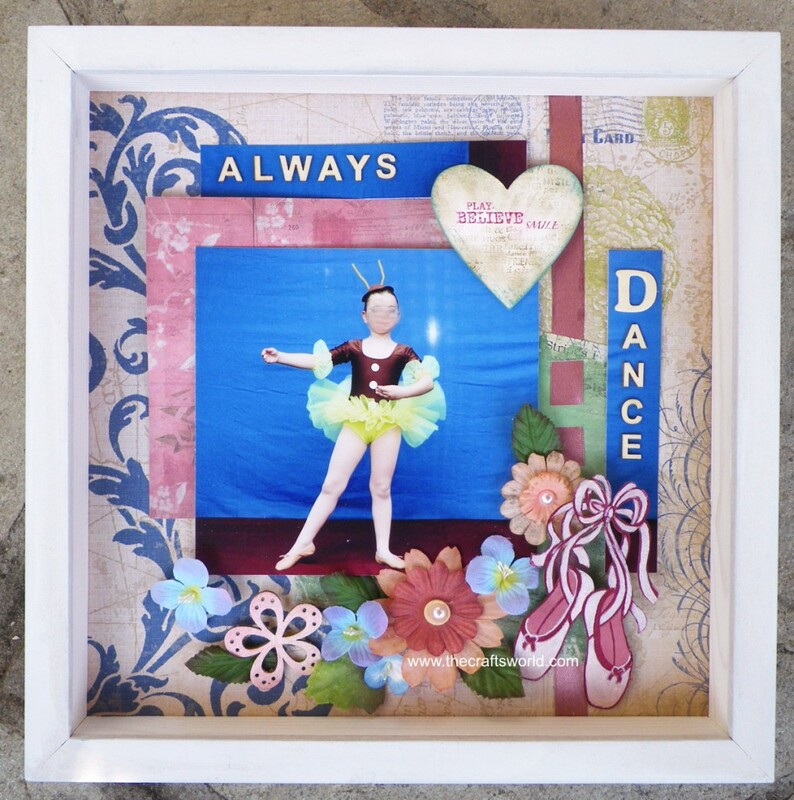 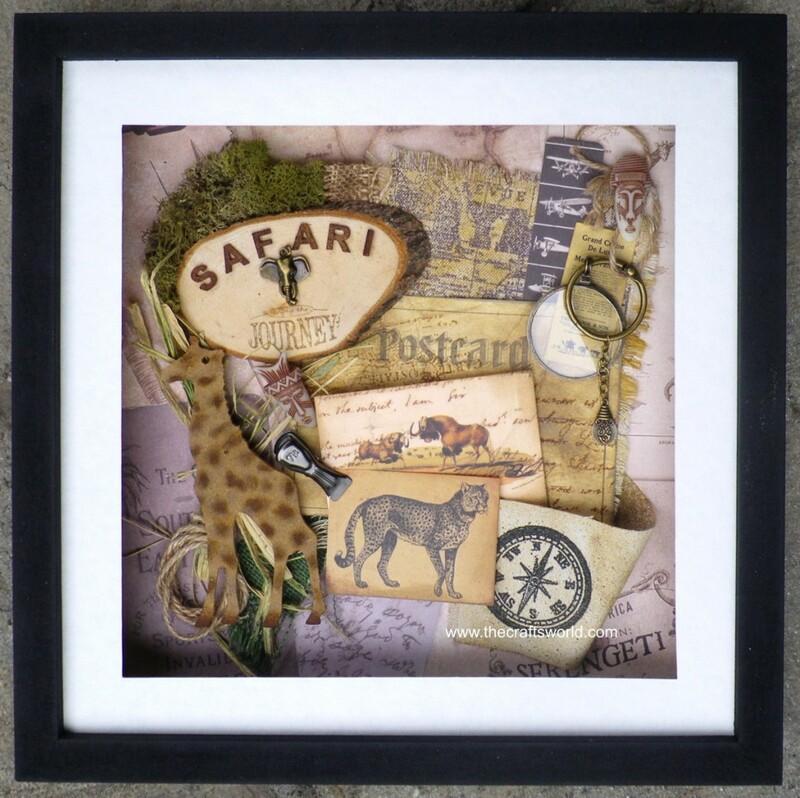 A 32x32cm shadow box in a clock gears theme. 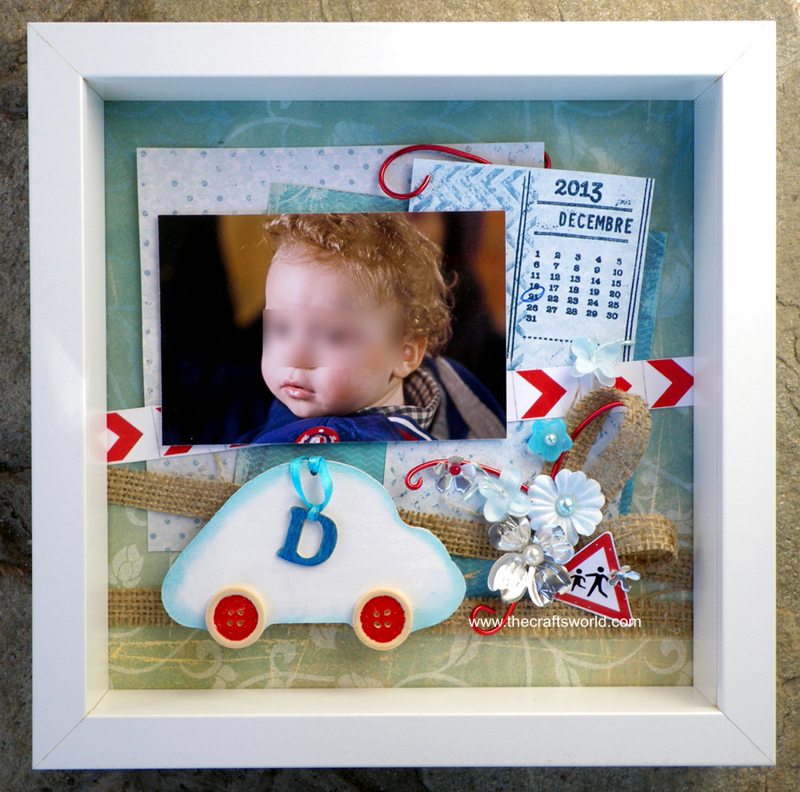 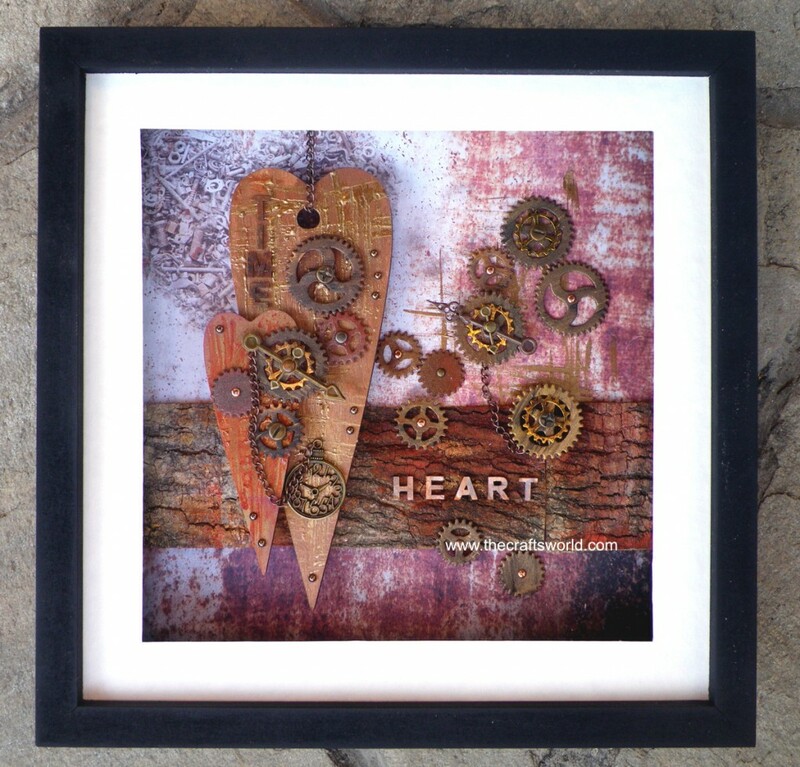 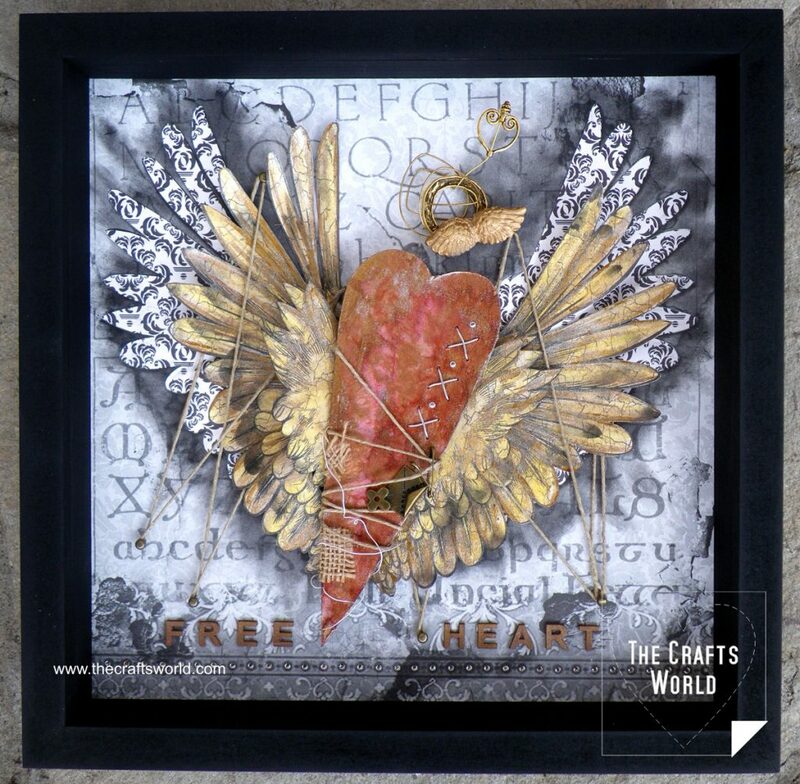 Metallic and hand-crafted gears placed in different heights,, burlap, scrapbooking papers, chains and other metallic embellishments decorate the 4cm depth frame.